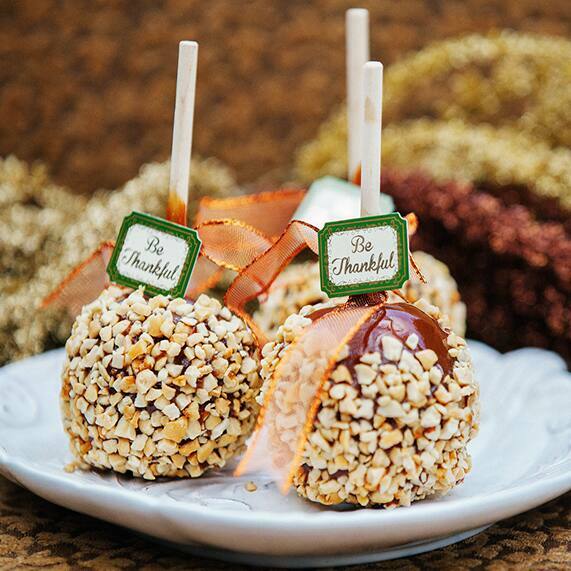 In the spirit of Thanksgiving, I'm featuring these thoughtful (and delicious) candy apples for this week's Wedding Cake Wednesday. Whether it's Thanksgiving or just another day of the year, I'm always so thankful for my friends, two boys and my better half. Of course giving thanks is always a little easier to do when it comes in the form of a tasty treat!